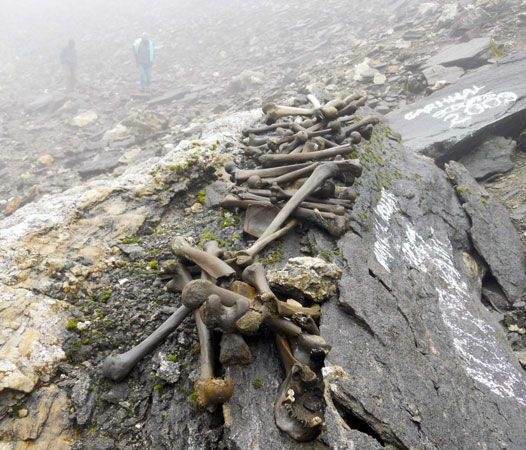 Roopkund lake in India is 16 thousand above sea level a glacial lake, and it is overflowing with skeletal remains. But the really amazing thing about the skeletal lake is what killed the people that are there. 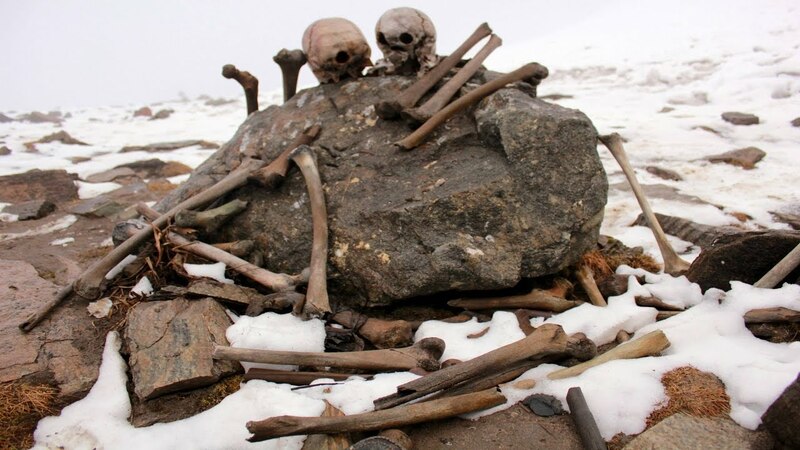 So in 1942 a forest ranger stumbles across Roopkund lake and sees that it is full of skeletons, it is full of the remains hundred of peoples looking back up through the frozen ice in this lake. It would have been an absolutely terrifying sight! So, this forest ranger becomes concerned that these might be Japanese soldiers as part of some kind of WWII Maneuver and reported it to the British, but on a follow-up study in the 1950s, they found that these skeletons were in fact much older than that. But even after this forest ranger discovered them they don’t know how they got there and they don’t know what killed hundreds of people. Dozens of theories were put out ancient soldiers, a caravan of merchants a royal wedding party, maybe they died of a disease may be they all froze to death this mystery goes unsolved for decades. There were some songs and stories that were told that let some possible explanation to how these people came to be there and what killed them. In 2005 as a part of a national geographic expedition, they begin examining the skeletons and they found some interesting things. It’s a mixed group: There are children, there are women and there are older people. They think they may have been other way to a festival celebrating Nanda Devi. all of these skeletons suffer from similar wounds blows to the heads and shoulders with a blunt object. This area of India, because it’s in the Mountains, in the Himalayas. 16,000 feet above sea level over a glacial pass the weather is out of control there. The area is also known for extreme hail storms and that is what killed all of these peoples. The songs and folklore were about the goddess Nanda Devi becoming angry at a traveling partying an act of rage she cast stones as hard as iron striking all of these people dead and all of the scientific evidence and forensic evidence backs this up. They were killed when a freak hailstorm started dropping. 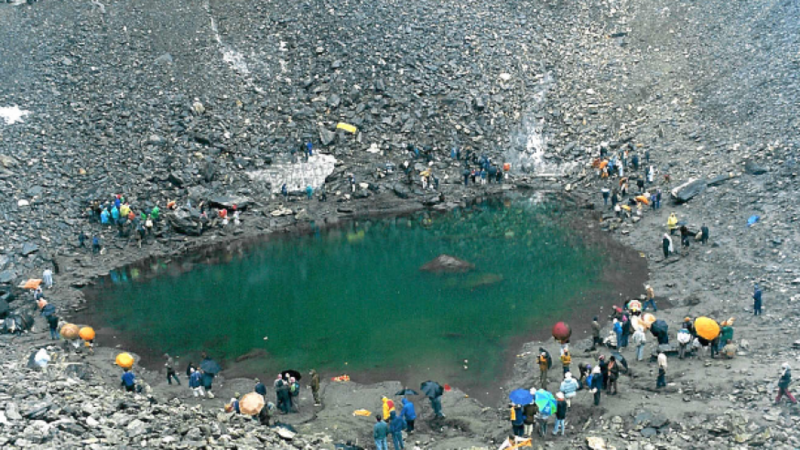 So while it has taken until 2005 to definitely prove with science that the hundreds of people were killed in Roopkund was due to a hailstorm.